We all know that you should never leave a child unattended in a hot car. And the same goes for a pet. But if you have the windows down and the temperatures are not super hot, and your trip inside will only take a few moments, it is acceptable to leave a dog in a car. One man was running into the store for a quick trip and left his Boxer in the vehicle. However, the puppy dog refused to sit patiently and wait for his dad to run the errand. Instead, the Boxer decided on a plan to get Dad’s attention so he would hurry back to the vehicle and bless him with his presence once again. Thankfully, we are able to write this story for you because some genius thought to take out their camera and film the hilarious moment. 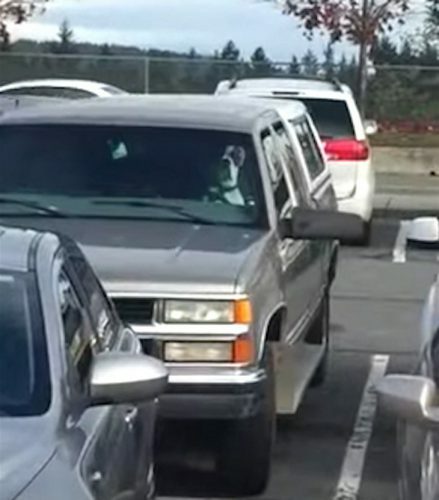 And you’re going to love to see how impatient this dog gets for his owner to return. It is utterly hilarious. 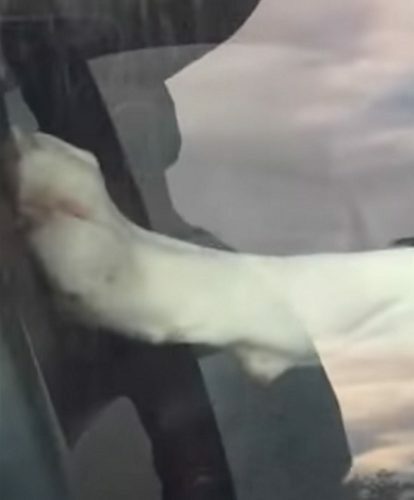 When you watch this clip, you can tell that this Boxer is doing what he can for a purpose. He wants to get his dad’s attention and hurry him back to the vehicle. Boxers certainly are smart dogs with a lot of energy. They’re not good at being cooped up in small places or locked in a hot vehicle. Active owners are the best matches for a dog like this. When people live sedentary lifestyles and own dogs like Boxers or pit bulls, the animals can get aggressive and bored. They need to run, to play, and to run around a lot. But when the dogs get what they need on a regular basis, they are happy and make great pets for families. 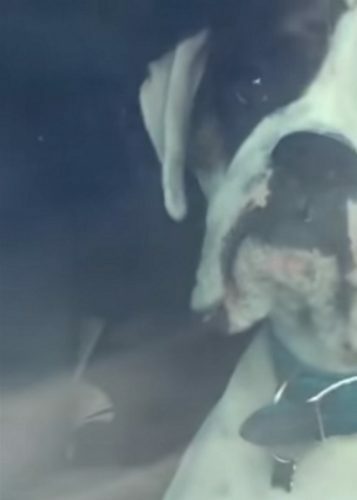 In the video, watch how the Boxer reacts when Dad leaves him in the car alone to do some shopping. The windows are down, and the air conditioning is reportedly running. But the Boxer is not keen on being left alone for any length of time. And when he realizes his dad is not coming back soon enough, he starts to put on his act that has since been caught on camera and gone viral thousands of times over. Because Dad is gone for too long, the Boxer finds the car horn and gets to work. He has a plan that is sure to get dad running back to him as soon as possible. With a paw on the steering wheel, the Boxer presses into the horn and blasts it off so everyone can hear. 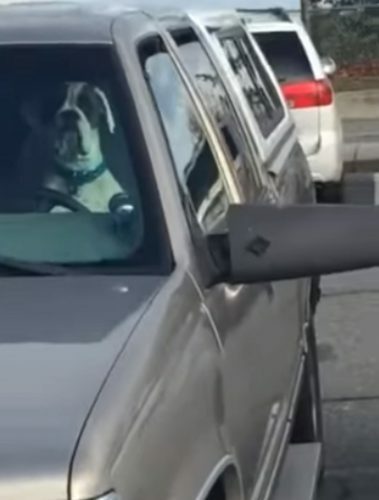 And when people see the Boxer seated in the driver’s seat with his paw on the horn, they’re confused. Did Dad teach him how to drive? Because a bystander knows that this is a viral moment, he takes out his phone and starts recording. He runs over to the vehicle and even gets a close up on the dog’s paw. You can see it touching the steering wheel and pressing it with all the force it can muster. Dad couldn’t shop much longer. He rushed over to put a stop to his dog’s ruckus.